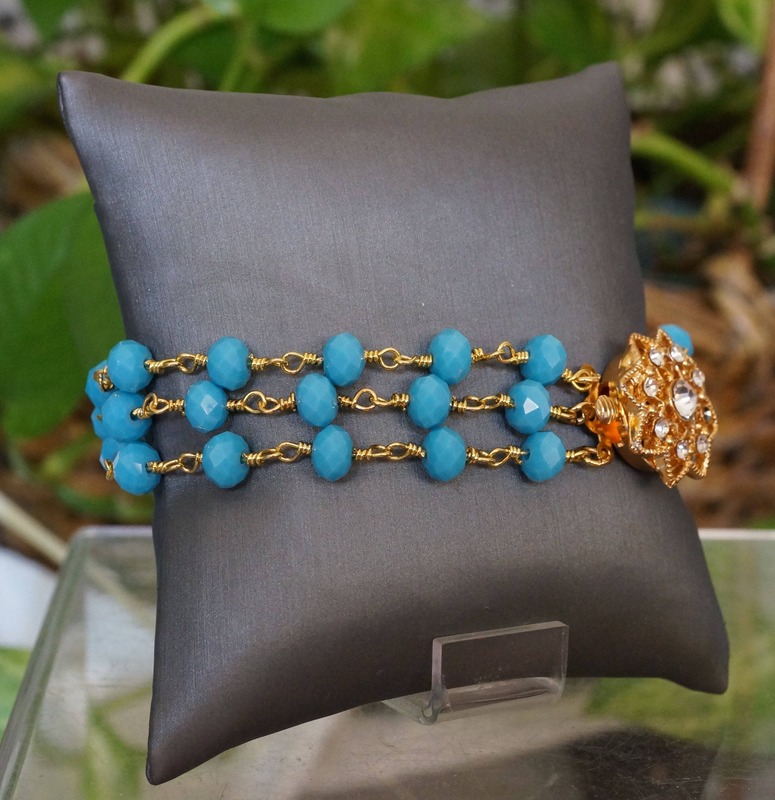 Here you have a very delicate and feminine three strand bracelet, made of a gold plated rosary chain with turquoise glass rondelles. 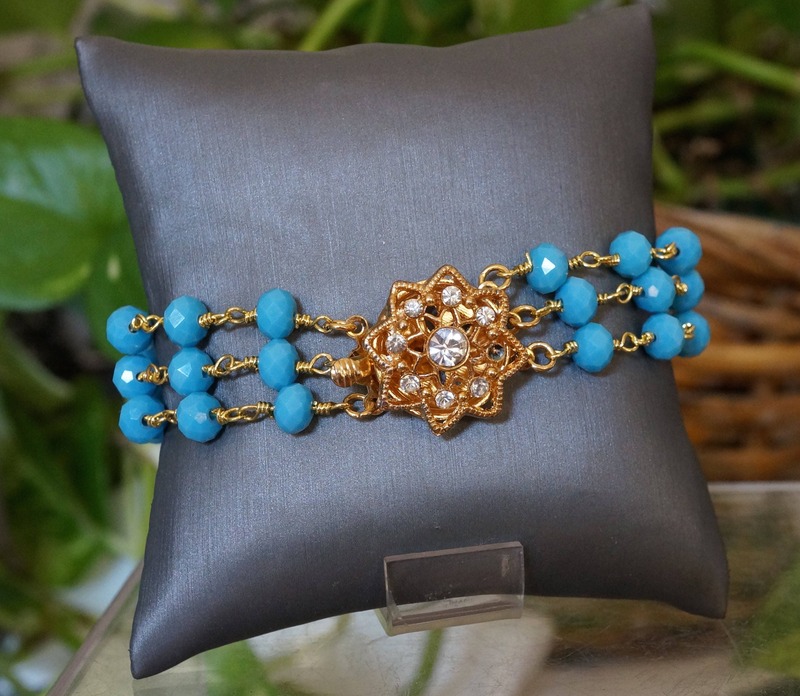 It has a beautiful gold plated pinch clasp that has rhinestones. 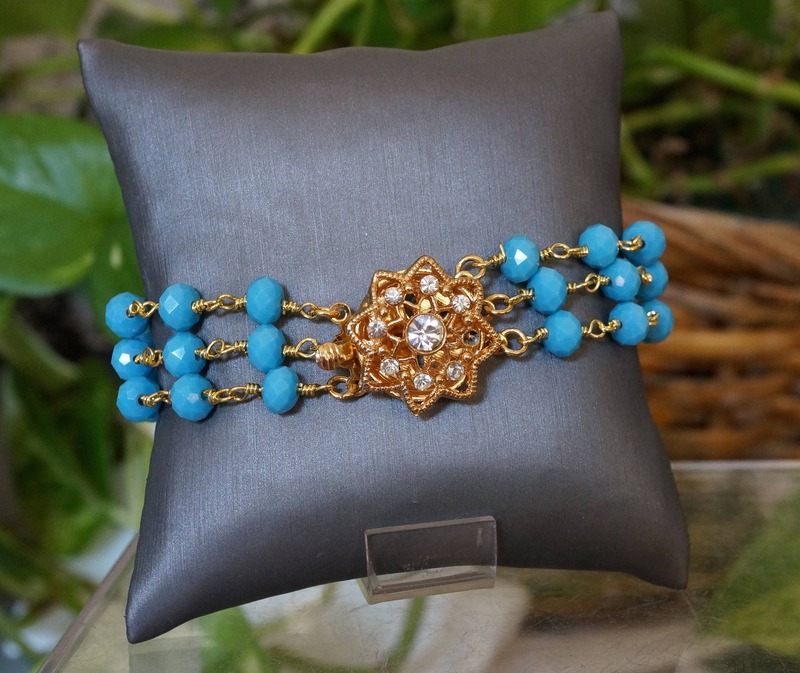 It measures 7.75 inches, but can be shortened at no extra cost. Just let me know before you purchase.